Crossing is an incredibly useful tool in FIFA 12. Utilize your quick wingers and get them down the line to play a cross in. However in FIFA, you can decide what kind of cross you want to play. There are three types of crosses in FIFA 11. 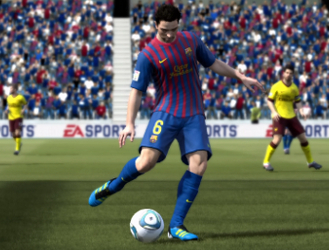 New to FIFA 12, you can control when you want to play a little backheel or another fancy flick. As you're passing, hold down RB on Xbox or R1 on Playstation to produce a random fancy pass or flick. It's not always the same type, but they're all equally as effective as eachother. By this, I mean that it's not such a good idea to do this all the time, just occasionally as they aren't all that effective.